I loved this place SO MUCH! Everything from the retro diner to the deep-fried vegan burger to the amazing staff. There is something so cool and understated about this restaurant and the food maybe deep-fried but its seriously good. I was quite greedy and ordered a chips, mac’n cheese and a burger and it was all delicious. They deep fried a whole Portobello mushroom with a tarragon salsa and it was out-of-this-world! 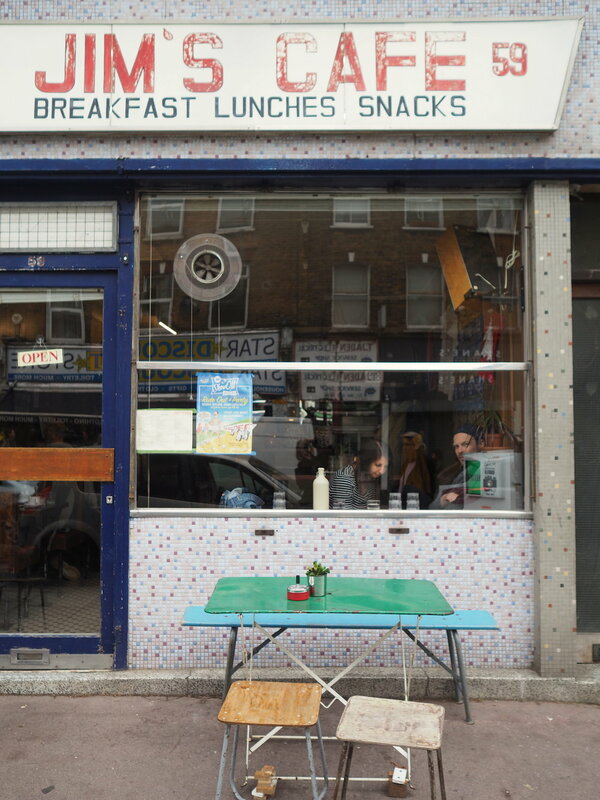 There are quite a few nice places on the Chatsworth Road but I would hit up Jim’s first.